For those who prefer to stick to the classics, the Dainese Blackjack Leather Jacket is a perfect blend of go fast protection and retro styling. 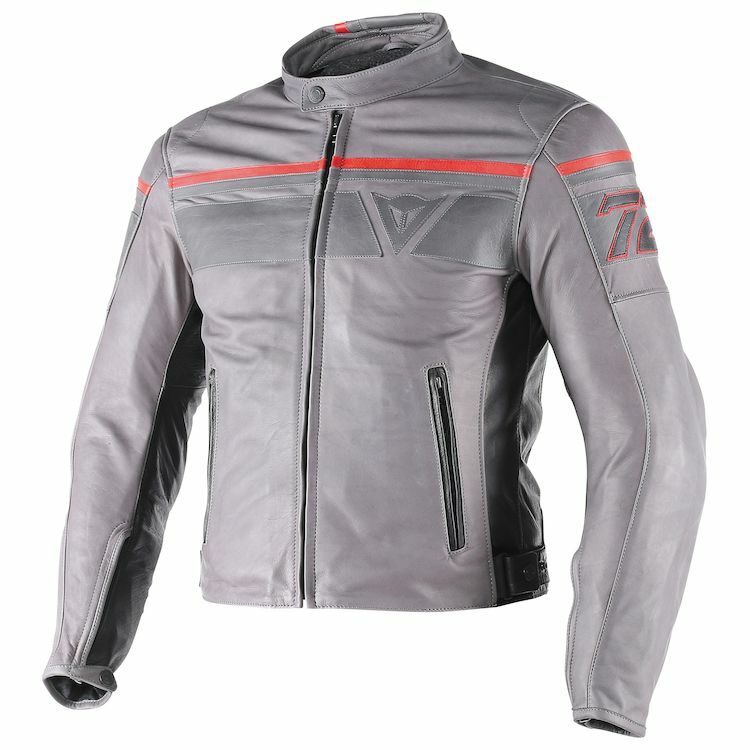 The Blackjack Jacket maintains Dainese’s race-bred attention to detail and quality, but in a sleek café inspired package. The Black Jack is designed for use in all seasons. Reflective inserts and composite CE rated elbow and shoulder armor, as well as a pocket for Dainese’s G1 or G2 back protectors provide top-notch protection while maintaining the classic styling. It is literally one of my favorite jackets that I own. The styling looks awesome, it's simple but yet bold. The leather feels great, and there's a nice shine to it. I completely recommend this jacket if you need a jacket for a night out in town. Just arrived today, I'm happy with the purchase since I got it only USD 375. The jacket perfectly fit with my body and I can moving more freely compare to my D1 racing jacket. The armor protector is plenty for city riding or short distance and I like to remove the shoulder protector for daily use. In my city, the temperature just around 20 degree to 32 degree celcius all year round which is perfect enough for keep my body temperature stable. And for the style, this is the jacket I like most from my other jacket (I own 4 different type jackets). The vintage design and quite soft leather makes me feel comfort to use it. Prefect in every way. Hardest part was choosing what color to buy. Always impressed with DAIENSE'S products and this is no exception. I also purchased Dainese's back protector insert. I'm fit, 5'11 175lbs. The size 50 seems spot on. The jacket is likely to be quite hot for the summer but for fall and winter, it's perfect. I like Dainese's quality and fit so much I bought one of their mesh jackets on closeout as well. Very happy with the jacket so far. I like that it's a normal-ish looking jacket that doesn't skimp on armor like a lot of the others I looked at did, and the waxing means that it even holds up to rain (for short periods, anyway). I'm using it as my cold-weather jacket, and is a big step up over the perforated jacket/multiple sweatshirts I was rocking before. Just don't expect it to be of any use in warmer weather due to the complete lack of venting. The back armor pocket can fit a Manis back protector insert (just), but doing so is very uncomfortable and I ended up using an older Alpinestars insert I had lying around. I'm sure one of Dainese's less obnoxiously huge back protecters would work just fine. My only real gripe is that it only has one interior pocket vs the four(!) I'm used to on my old jacket. Whether or not this matters to you probably depends on how big your phone and wallet are. 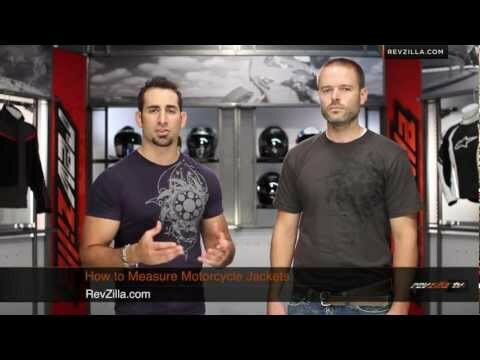 First off, I love Revzilla! 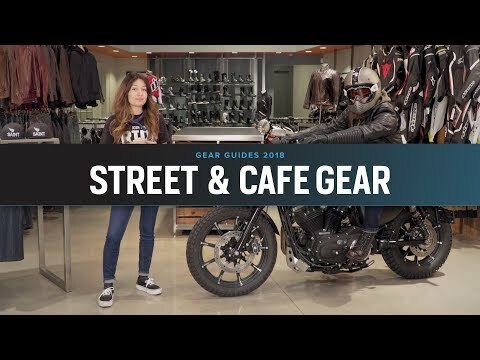 My question is: What is the mm thickness of the leather on this jacket? Does it offer abrasion resistance similar to the other non-D Skin leather jackets in Dainese's non-fashion range, like Stripes Evo? Also, does this zip to Dainese Alien or Pony pants? Thanks! BEST ANSWER: Yes it'll zip to any Dainese leather or textile pant. Which back protector is the correct one for Euro size 50? BEST ANSWER: The Manis or Wave G2 would be the size to go into a size 50 euro and up made by Dainese. Forcefield and D30 both make a back protector that will fit in Dainese jackets as well. G1 typically fit women ans smaller men, G2 is larger for 6 foot plus. The G1 from Dainese should work. I'm not sure about other brands. Does the gray jacket have an orange stripe or a red stripe? BEST ANSWER: Good question! I assumed it was made in Italy but according to the label on mine it was made in the Ukraine. In the video Anthony says the manis back protector fits on this, is this true? How would this hold up in rain/water?